If you are an art collector, you are at the right place to hire the most reliable fine art movers New York. Our professional art handlers are your best ally because we know how to pack and wrap your most valuable items! Leave us all the logistics about packing, shipping, storage and installation of the art collection, and you will be satisfied with your fine art transition. Moving art is a challenging process but, with Verrazano Moving and Storage you can be sure everything is in safe and capable hands. 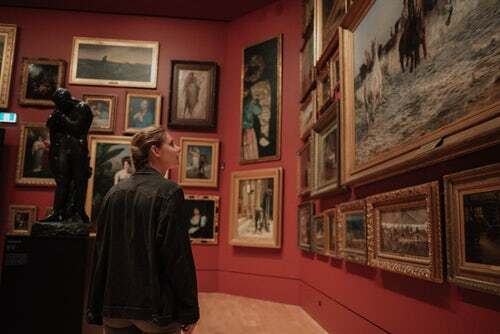 Our experts will provide you with a safe and timely-efficient delivery of your art collection. All you need to do is to GIVE US A CALL. Verrazano Moving and Storage has the best fine art movers you can find in New York! We handle with care! Hire our professional fine art movers New York! Possessing the right knowledge, equipment, experience, and master skills are things that make us the best in the fine art moving industry! Our professionals are dedicated to taking out the stress of your fine art relocation. Moving your antique furniture pieces, valuable paintings, and sculptures have never been easier! You don’t have to worry about damages and delivery delays! There are no obstacles for our capable movers. With Verrazano Moving and Storage, relocation is smooth, and success is guaranteed. You can be sure your valuable art collection will arrive safe and sound at your destination.